Indexing Accuracy (sec.) 30" 25" 15"
Repeatability (sec.) 4" 4" 4"
Indexing Accuracy (sec.) 60" 50" 60"
Indexing Accuracy (sec.) 15" 15" 15"
Indexing Accuracy (sec.) 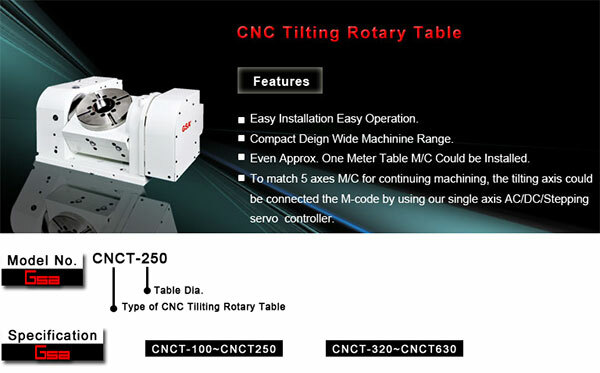 30" 30" 30"
※All specifications can be modified according to customers’ requirement.